We are combining experience in craftsmanship with first-class prosthetic joints. Many little things do the perfection. This also applies to prosthesis. If walking really should be fun, it needs more than just a high-quality knee joint. The perfect interaction between an optimally fitting socket, the correct setting of the joint and the ideal statics of a prosthesis make the decisive difference. This goal is our motivation. We manufacture prostheses for a wide variety of requirement profiles, which convince through optimal functionality, optics and state-of-the-art technology. Thus you not only stand with both legs in life, but also can pursue all your interests in sports and leisure time. The type of socket and materials are individually selected according to the patient's stump and mobility level. This ensures ideal support and a good fit of the prosthesis. Gottinger came to prominence with the M.A.S. technology from Mexico, which Ferdinand Gottinger introduced in 2005 in Germany. Since then, we have further developed this socket system to further enhance comfort throughout the day. The precise ramus encasement of the M.A.S. socket allows a power-saving, precise guiding of the prosthesis and an improvement of the gait pattern. The patient benefits from more seating comfort as well as significantly greater freedom of movement. With the inclusion of more precise measurement methods and scanner data, we are able to construct specifically and create millimeter-accurate models. Socket changes resulting from the fitting can be traced, documented and evaluated. This leads to the constant improvement of the treatment. We are also able to scan well-fitting sockets and create millimeter-accurate duplicates. Together with the Frauenhofer Institute for Production Engineering and automation, we developed the three-dimensionally movable G3D ramus encasement for tuber surrounding thigh sockets. The system is designed so that it always adapts to the ramus when walking, standing and sitting, thus avoiding excessive pressure (over 120 kp). The C-spring guarantees the correct resistance in the given directions. Rotational movements of the pelvis or thigh do not cause increased strain on the ramus. In the direction of the medial and lateral, the system is so stable that the leverage forces have their full effect. The pressure relief in the medial area, the skin is less stressed and the walking performance higher. The range of high-quality prosthesis parts is huge. Which part is optimal for you depends on your degree of mobility. With the prosthetic feet, the range extends from the simple SACH foot for a lot of stability and soft movements, to the high-end carbon spring base, which makes running particularly effortless. The knee joints also have a large number of options available. Starting with a lockable knee joint up to the microprocessor-controlled version. 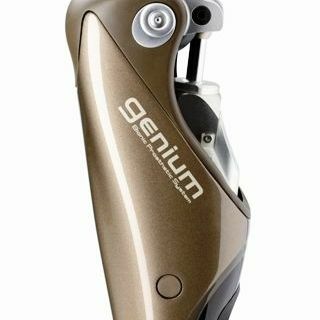 We rely on lightweight knee joints with a mechanical brake or computer-controlled high-tech joints, such as the Genium knee joint or the 'Rheo Knee'.